Microfilm scanning has been helping local (and not so local) communities to access their archives quicker and easier. Last month, Norfolk Daily News announced that its back catalogue, which was previously stored on microfilm, has now been digitised. Unfortunately that's Norfolk, Nebraska so not quite so close to home but this move will make newspaper records dating from 1877 to 1955 available for local people to go along to the public library and do a quick search on their computer for the birth, death or marriage record they wish to see, rather than trawling through rolls of microfilm. This revolution, albeit small, is exactly why we offer microfilm scanning services here at Pearl Scan. We know the importance of future-proofing documents and saving money for companies and organisations along the way. This story also shows how much easier it is to handle, store and view documents when you deal with them electronically after going digital. While this particular news comes from across the pond, many organisation in the UK and across Europe have already seen the benefits and got their microfilm digitised. But why? What are these benefits? 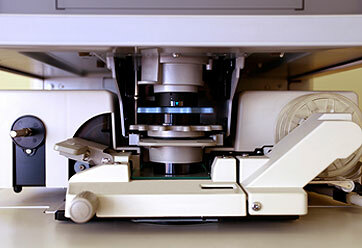 Well, like many scanning services, microfilm scanning brings a range of great advantages. As mentioned in the Norfolk Daily News article, having their microfilm scanned has meant that the documents on them can be viewed much easier. This has improved productivity for researchers who can access the information they need at the click of a button, speeding up their working and research times. While Norfolk Daily News only have access to their digitised back catalogue on one computer at the public library right now, it is possible to make your documents even more accessible. Scanned microfilm files can be hosted over a shared network or cloud platform such as Pearl Cloud giving more people access to the information all at once. The files can be encrypted and password protected for necessary security but essentially anyone with permission can view the files from anywhere, at any time. Not only will increased productivity result in more money being made, you can also save on storage costs with microfilm scanning. If your company stores a great deal of microfilm whether in an office on-site or in off-site storage, you could benefit greatly from microfilm scanning services. Your office space can be used for adding extra desks for extra staff or you can banish those extortionate storage costs for off-site premises. 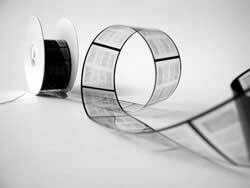 Microfilm is becoming increasingly obsolete. It was once the revolutionary new way to store documents in a compact way. However, this is no longer the case as it is much more space saving to store files on computers nowadays. 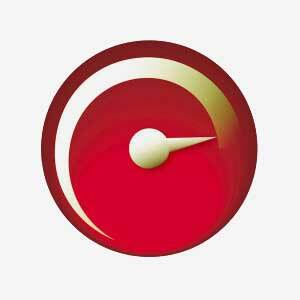 The files are not constrained to one format either as they can be switched to different formats when needed. As a result, electronic document management is a much more future proof way of storing documents. As I've already mentioned, microfilm scanning can free up space in your office or storage department which can be used for more productive things or just to provide a better and more free working environment for your staff. Boosting morale like this can be very important for the success of your company. Those are just a few examples of the benefits you could reap from getting your microfilm scanned and digitised. If you would like to make your microfilm more accessible and reduce storage costs, get in touch for a free, no obligation quote. We offer microfilm scanning London, microfilm scanning Manchester, microfilm scanning Birmingham as well as microfilm scanning across the rest of the UK. For more information on microfilm scanning and the benefits it can bring to you and your company, check out our website and the microfilm category of our blog.